The bundled software that comes pre-installed on every Mac is usually enough to help you get started straight out of the box. Even so, there are useful third party apps that enhance the usability and experience of OS X on your Mac. In this article, we’ll list down some of the essential third party apps that help you to get more out of your Mac. Apple already has Keychain for securely storing and managing your account credentials. But you won’t be able to take the full advantage of Keychain syncing if you’re using non-Apple devices along with Mac. 1Password is a cross-platform, third-party password manager, available for Mac, iOS, Android and Windows. In addition to account passwords, 1Password also supports secure storage of other digital entities, such as Driver’s license, Bank accounts, Passport, Social Security Number, etc. Alfred originally launched on Mac as a Spotlight Search alternative, which allows you to quickly look up for items on your Mac or online. With Alfred, you could also assign hotkeys for controlling various actions on Mac. Now, you can control them from an iOS device as well. Alfred Remote is an iOS app that translates hotkeys for many of Alfred’s actions on Mac, into icons on your iOS device. So now you can control music playback, manage text snippets, launch apps, files or websites, and do lots more on your Mac, directly from your iPhone, iPad or iPod Touch. Alfred can be downloaded as a free software with limited features. But for accessing more features, and to get support for Alfred Remote (available on the App Store for $4.99), you need to purchase the PowerPack for £17 (Single license). Unlike Windows, Mac doesn’t have any uninstaller utility. To uninstall an app from Mac, we usually drag and drop the particular application package to Trash. And even so, there are leftover files from the app that remain behind. 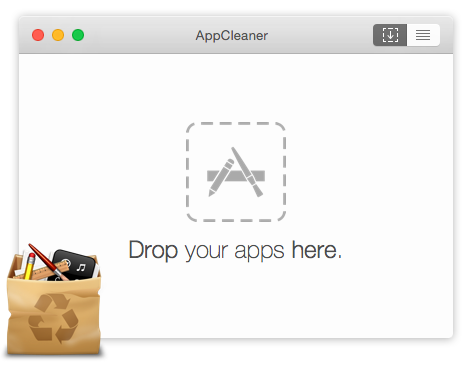 AppCleaner is a small app that lists down all installed applications in one place and lets you to completely remove them with a few clicks. It also searches for associated leftover files and automatically removes them along with the app. Is your Mac menu bar cluttered with too many app icons? Bartender can hide your menu bar items by collapsing them into its own menu, known as Bartender’s Bar. The hidden menu items can be accessed by clicking on the Bartender icon. You can also rearrange the items in the menu bar, as well as Bartender’s Bar by holding the Command button and dragging the icons to the preferred position. Bartender is available as a free trial for 4 weeks or can be purchased for $15 from the Bartender Store. With Battery Monitor, you can access various information about your Mac’s battery, monitor its health, and receive suitable alerts when it’s time to get a replacement. Battery Monitor is available for free on the Mac App Store. BetterTouchTool is a Mac app that lets you customize and configure gestures for Magic Mouse, Macbook Trackpad, Magic Trackpad and even normal mouse. BetterTouchTool can also be used to configure custom keyboard shortcuts and includes several other features like window snapping, integrated window switcher, etc. It also has an iOS companion that allows you to control several features on your Mac from iOS device. You can download BetterTouchTool Mac app from the official website, while the companion app can be downloaded from the App Store. OS X’s default power saving features automatically optimizes the system for maximum battery life. After a specific duration of inactivity, it automatically turns off the display, disables network connections, pauses running apps, and performs other background activities that help reduce power consumption. But sometimes, you might want to keep apps or tasks (ex., downloads) running even when the Mac is idle. Caffeine is a small program that prevents your Mac from going to sleep when idle. Caffeine doesn’t prevent your Mac from going to sleep when the lid is closed. If you want to do that, you may try another app called NoSleep. You can find additional information on Caffeine and NoSleep from this article. Similar to WordService, CalcService can help you find out the result of any calculation from Service-aware apps such as Mail, Messages, Safari, TextEdit, etc. You can paste the result in place of the selected text, append the result of a formula or show the result in a panel. CalcService can be downloaded for free from the Mac App Store. Macs, like PCs, accumulate junk data over time. CleanMyMac is a one-stop solution for cleaning up junk on Mac and monitoring its health. The app’s junk detection algorithms scan for unwanted files stored in the deepest of folders on your Mac, and gets rid of the ones that are safe to delete. Other than junk cleanup, CleanMyMac also includes a number of maintenance tools, such as RAM cleaner, app extension manager, app uninstaller, large file finder, etc. CleanMyMac is a paid software, and can be purchased for $39.95 (Single license). The Mac clipboard can, by default, only save the latest copied text for pasting. The moment you copy another text, the previous content on the clipboard gets overwritten. But often when you’re working with texts, you need to keep track of multiple text snippets. ClipBuddy is a clipboard manager that can keep track of the entire clipboard history and lets you save and organize texts and images from any app. You can also paste multiple clips in a loop. ClipBuddy is available as a free trial, while the full version costs $29.95. ControlAir is a free app available on the Mac App Store that lets you control media playback with simple finger gestures, without having to touch the keyboard. It uses the webcam on your Mac to capture and identify finger movements, and translate them to actions for playback control. You can play or pause media, skip to previous or next track, and increase or decrease volume. ControlAir currently supports iTunes, QuickTime, Rdio, Spotify, VLC and VOX; support for Google Play Music and YouTube coming soon. Duet turns your iPhone or iPad screen into an extra desktop for your Mac, using the Lightning or the 30-pin cable. Duet can deliver a retina display at 60 frames per second, and the additional display can increase your productivity by up to 48 percent (according to its official website). The desktop client is available for Mac OS X 10.9+ and Windows 7+, while the iOS client is available for all iPhones and iPads running iOS 7+. Encrypto is a file encryption app that can encrypt (AES-256) files with password. It is ideal for locking files on Mac, or adding password-protection to secret files before sharing them with others. Encrypto is available for free on the Mac App Store. Computer screens are designed to look bright, which is okay during the daytime. But after sunset, our eyes gradually adapt to the low light conditions, and looking at the bright screen is rather inconvenient. 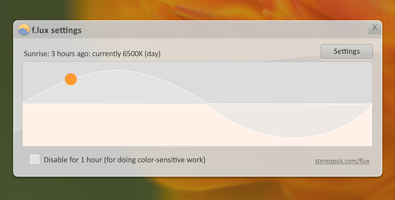 f.lux is a small app that adjusts the color of your Mac’s display according to the time of day and surrounding lighting conditions. During setup, just provide f.lux with the kind of lighting you use and the location you belong to, the software will automatically find the time of day and adjust the Mac’s display accordingly. FilePane is a useful productivity app that adds quick options for file editing, sharing and management to Drag-and-Drop feature. Just drag a file from your Mac into the application window; FilePane will automatically detect the file type and offers a list of related options. With FilePane, you can quickly crop, rotate or compress images (using suitable installed apps); share content via Airdrop or Social Media; set desktop backgrounds; move or copy files to custom predefined folder locations; copy file size or path to clipboard; see basic information about text files; convert text documents to PDF; and create new folders and files in custom locations. The drag-and-drop feature not only works with Finder, but also with other apps as well. The app is available on the Mac App Store for $4.99. Fluid lets you create desktop class Mac apps out of any website or web app. The apps created with Fluid reside in the Applications folder and you can launch them from the Launchpad or from Spotlight Search. Fluid is free to use without any restrictions. But, a Fluid License for $4.99 unlocks a few extra features like support for separate cookie storage, pin to status bar, Userscripts and Userstyles, and Full-Screen mode. Gemini is another handy utility app that looks for duplicates of files on your Mac and allows you to delete them with a single click. Using proprietary algorithms, the app is able to quickly scan for exact duplicates of files, based on various comparing factors (not file name alone). The app is available for download from the App Store for $9.99. Are you a music lover who loves to follow lyrics? Get Lyrical is a small app that automatically scans your iTunes playlists and embeds lyrics into your music files by searching online. Embedded lyrics are saved in the Lyrics meta tag of a song file and can be viewed in iTunes, or even in Music Player apps on mobile devices. You can learn more about embedding lyrics in this article. Sharing GIFs on social networks is quite a trend these days. GIF Brewery is a Mac app that lets you to easily convert brief clips from your video files, into animated GIFs. You can then share these GIFs on your favorite social networks. You can download the app from the Mac App Store for $4.99. HandBrake is a free, open-source universal video transcoder for Mac. It supports a wide range of codecs and can be used to convert video over a variety of formats. For older Macs, HandBrake can also be useful for ripping video DVDs too. Mac already ships with an app called Automator, which helps you create custom workflows for completing tasks automatically. Hazel is a more user-friendly alternative for Automator that can organize files on your Mac depending on custom rules set by you. For example, Hazel can move files downloaded from Safari and Mail, into different folders based on name, date, type, etc. Additionally, Hazel can also rename files and sort them into subfolders based on different combinations of attributes. Hazel’s rule based engine helps you to create powerful workflows to automatically organize and process your files. The free version of Hazel gives you a 14-day trial. You can purchase the full version of the software for $29. The software can be downloaded from Hazel’s official website. Helium is a floating browser window that allows you to watch media while working in another window. The floating window sits on top of all other windows so that its content never falls behind other windows even as you switch tasks. Helium also has a translucent mode so that you can view and even interact with elements behind the floating window. So, you can keep working without any interruptions, and also watch your favorite movie at the same time. We often place files and folders on the Mac desktop for our convenience, and it eventually gets cluttered over time. But a clean desktop is always good to look at. HiddenMe is a free app that hides all your desktop icons with a single click, and helps you keep the desktop clutter-free. Want to protect your files and folders with password on Mac? You might want to give Hider a try. Apps that protect your data on Mac, usually require you to manually move the desired files into a secure encrypted storage. Hider also does the same, but in a tricky way. Once you add any file to the Hider app, you can toggle its visibility in-place. When visibility is turned off, Hider automatically moves the file from its current location to an encrypted vault. When visibility is turned back on, Hider places the file back to its original location. The app has support for external hard drives, and uses AES-256 encryption to protect files and folders within its vault. Hider is available as a free trial, or you can purchase the full version for $19.99 (Single License). ImageOptim is a free image compression tool that reduces the size of images without losing their quality. It optimizes compression parameters, removes junk metadata and unnecessary color profiles. Simply drag-and-drop an image file or folder into the ImageOptim application window; they’ll be optimized in-place. AirDrop is a cool feature for sharing content, but it’s not much useful with non-Apple devices in the vicinity. Infinit is a cross-platform file sharing app that can be used to share files of unlimited size, between devices on the same WiFi network, even without an Internet connection. The app is available for Mac, Windows, iOS and Android platforms. Though file transfer using Infinit app doesn’t require an Internet connection over WiFi, you need to initially login to the app, which eventually requires Internet. If you need an app to transfer files in the absence of an Internet connection, DropCopy is a better alternative. It can directly transfer files between devices connected to the same WiFi network. There is no easy way to view hidden files on Mac. InvisibliX is a tiny Mac app that lets you to easily toggle the visibility of hidden files and folders on OS X. In addition, you can also control the Hidden and Protected attributes of specific files and folders by simply dragging them into the app window. InvisibliX is a free app and can be downloaded from the official website. Little Snitch is a network monitoring app that sits in the menu bar and lets you view and control all the incoming and outgoing connections on your Mac. Applications can potentially send information from your computer to their respective servers. Little Snitch intercepts unwanted connection attempts and lets you decide how to proceed. Mac App Blocker is the perfect app for preventing unauthorized access of apps. It can password-protect all apps individually, so that you can specifically decide which apps to block. Furthermore, you can schedule blocked apps to be unblocked on specific days or times. Mac App Blocker is available for a free 15-day trial, after which, a single license would cost $9.95. IDM is a powerful download manager that is only available for the Windows platform. On Mac, it’s quite tough to get a good IDM alternative. But there are still a few apps that can help you get features similar to IDM. Download Shuttle is one such app which can accelerate download speeds with multithreaded downloading. For more such apps, you can refer this article. Cloud services like Google Drive or Dropbox usually sync a specific folder on your Mac to the cloud. But sometimes, you may want to sync files from multiple locations on your Mac. MacDropAny is a simple app that lets you map different locations on your computer with the respective service-specific folder located in the cloud. So you can sync up multiple locations with multiple cloud services. The app supports Dropbox, iCloud Drive, Google Drive, Box, Copy, OneDrive, MediaFire, Mega, Hightail, Creative Cloud, and hubiC. If you have an iPhone (or any iOS device for that matter) along with Mac, MacID can help you to remotely lock and unlock your Mac with it. The app comes in two parts, a Mac client and an iOS client. Other than locking your Mac, you can also perform other operations like media playback, volume control, etc., remotely from your iOS device. To know more about MacID and other similar apps, you can refer to this article. Originally launched on iOS, Mailbox is a third party email client for OS X with a simple and intuitive UI, and some useful mail management features. If you don’t like the native Mail app, this is the one alternative you should try out. Mailbox for Mac is available in beta version and requires OS X Mavericks or higher versions. The input volume of your Mac’s microphone can usually controlled from the System Preferences. But MuteMyMic puts the microphone volume controls on the Mac menu bar, where it is quickly accessible. You can also control the mic volume, or mute it using keyboard shortcuts. This feature could be really useful for making conference calls. NameChanger is a free bulk rename utility for Mac with a variety of renaming options. You can select multiple files to rename and choose a suitable rule to rename them (replace the appearance of a certain text in the file name, create a sequence in file names, use date in file names, etc.). OnyX is a multi-functional utility for OS X that allows you to perform and schedule advanced system cleaning and maintenance tasks. OnyX is a powerful utility for advanced users, but is definitely not for everyone’s use. It allows you to configure some hidden application, and system parameters, which, if not correctly done, might render the system useless. The app is available as a free download from the developer’s official website. Apple’s Continuity feature allows you to interact with your iPhone’s calls and messages from your Mac, so that you can continue working without looking at your phone. Wouldn’t it be great if you could also get iOS notifications on Mac? PushBullet is a peer to peer file sharing app that can push notifications from your iOS device to your Mac, where you can read and dismiss them as required. It also lets you to send and receive files among different users. But unlike DropCopy or AirDrop, it transfers files via Internet, rather than using the local network. PushBullet is available for free on the Mac App Store. SelfControl is a free and open source Mac app that can block your access to certain websites for a specific duration. Set the block time and add your preferred websites to the block list and click on START. The websites in the list will not be accessible until the timer expires, even if you restart the computer or delete the app. You can use it to remove distractions and focus on your work. For more information on the app, you can visit the official FAQ section. Hear a tune, but don’t quite get the song? Shazam can help. Also available for mobile devices, Shazam is an app for recognizing music tracks that are playing on your Mac or nearby area. It can operate in the background and identify songs that it picks up using the computer’s microphone. This is a simple Mac application to create and manage notes. And with its iOS counterpart, you can organize and sync your notes online and access them on all your devices. SimpleNote is similar to Evernote in functionality. But if you want a text editor for coding purposes, there’s another app called Sublime Text which is more convenient. SiteSucker can download entire websites onto your Mac’s hard drive for offline access. On entering a website URL, it asynchronously downloads all the elements of the website and duplicates the site’s directory structure. It is available at the Mac App Store for $4.99. If you want to allow other third party apps to access your Mac’s sound card, say, for recording streaming audio currently playing on your computer, Soundflower is a free audio system extension that allows you to do so. Soundflower emulates the interface of an audio device, and any recording application (such as QuickTime) can select Soundflower as the recording device. The sound output from your sound card can thus be recorded directly by the recording application. Spectacle is a small app that brings useful window management features into OS X. Using keyboard shortcuts, you can move the active application window to the center, right half, left half, top half, bottom half, and many more custom positions of the screen. Spectacle app can be downloaded for free from the official website. Unlike Windows, you can’t mount MTP devices natively on Mac. SyncMate is a Mac desktop client that helps you sync content (Photos, Contacts, Music, Videos, etc.) between Macs and mobile devices (iOS, Android, Windows Phone or other MTP devices). It also installs a custom MTP driver that helps you to mount MTP as a drive on OS X. You can learn more about it from this article. OS X only has limited native support for unzipping archived files. The Unarchiver is a simple tool for extracting zipped packages of a variety of file formats. Supported file formats include Zip, Tar-GZip, Tar-BZip2, RAR, 7-zip, LhA, StuffIt and many other old formats. Macs don’t have read-write access to NTFS formatted drives by default. So in order to add write access to NTFS drives on Mac, you need to install custom NTFS drivers. Tuxera is a paid solution that enables write access to NTFS drives on Mac. It uses a stable NTFS driver which is regularly maintained and supported by the team. You can learn more about enabling read-write access for NTFS drives on Mac from this article. VLC Media Player is the popular media player that can play just about any audio or video format that you throw at it. It has a wide range of installed codecs that makes it a universal media player. If you have a media collection covering a wide range of file formats, VLC is worth your shot. WALTR is a desktop app that lets you directly transfer music and videos from your Mac to your iOS device without using iTunes, via drag-and-drop. Along with automatically converting unsupported files to Apple supported file formats, WALTR also puts the audio and video files copied from your Mac into the native Music and Video apps respectively, on your iPhone, iPad or iPod Touch. WordService is a set of custom OS X third party services that adds several features of MS Word to OS X’s Pages application. With WordService, you can reformat text paragraphs, change case of letters, shift paragraphs, etc., directly in Pages. WordSevice can be downloaded for free from the Mac App Store. 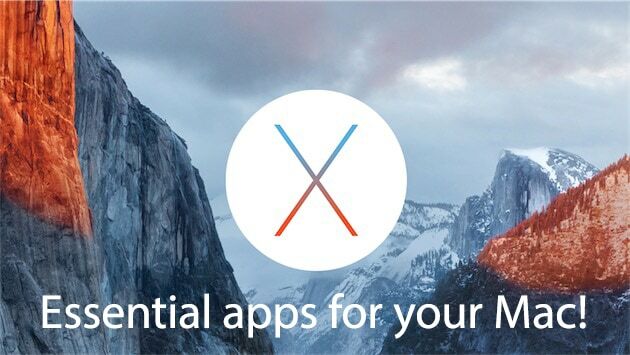 This brings us to the end of our essential Mac apps list. Other than these apps, you may also have to install apps specific to your work. For example, if you’re a photographer, you’re likely to use Photoshop too. Tell us if you find the list helpful, and if there are other mentionable apps that we might have missed, in the comments below.